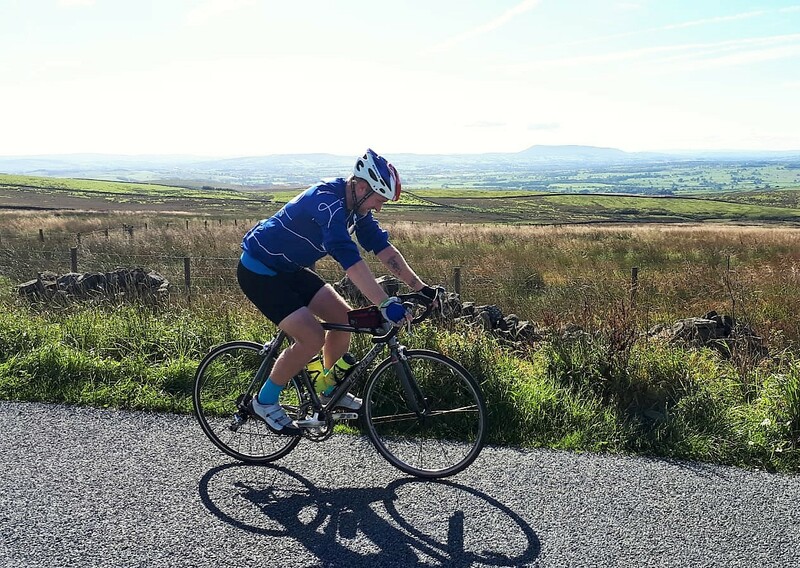 On 15th October, Ryan Anderton will take on an incredible challenge as he attempts to cycle round the coastline of Britain in world record time. He is using the opportunity to raise funds and awareness for the mental health charity Mind, an organisation which Ryan is passionate about following struggles with his own mental health. Feeling under pressure aged 18, Ryan ran away to live and work in Dublin. At 24 he lost his mum to a brain aneurysm, struggling to cope he ran away to Greece. As Ryan approached 30, a relationship breakdown caused a serious deterioration of his mental health. Following this incident, Ryan received sporadic treatment and life improved as he started a new relationship and his son was born. However a similar destructive pattern formed when this new relationship broke down and he was torn between running away or being back in Yorkshire to look after his son. It was at this point that Ryan had a chance meeting with the men’s mental health and suicide prevention group Andy’s Man Club which he admits changed his life. It was also Andy’s Man Club that sparked Ryan’s passion for cycling. “I started riding to work (a 20 mile round trip, five times a week) plus the odd social ride with friends. This led to my participation in a 120-mile, two-day mental health awareness ride with Andy’s Man Club; then came a 10-hour, 271 km fundraising event for The British Red Cross; and next an eight-day, 1,036 mile fundraising cycle from Lands End to John O’Groats. Cycling seemed to work for Ryan instantly. “I’ve always been quite a sporty and active person but cycling provides a more extreme physicality that I was missing. It also suppresses my need to escape. I was riding to different places giving me time to reassess my thoughts whilst in a positive mental place, not the previous negative and drunk mindset. When I’m cycling I am free. I have no worries about anything apart from the next pedal stroke, the next corner or the next hill. It’s just me pedalling, avoiding potholes, drains and traffic – heading somewhere new or to see a friend or maybe without a plan at all and just allowing life to come to me. Ryan admits he hasn’t fully recovered and in February this year, after some difficult life events, he had four hours of madness as he wrote a suicide note on social media and ended up on a train track. But it was this set back that convinced him to establish the concept he calls Recycle Yourself. He started by riding 50 miles everyday for 50 days as he attempted to use his passion for cycling to make permanent life changes. “I wanted to do something to get myself into a routine of cycling every day and prove that if you put your mind and body to something, it can be done. I started to see that I was inspiring other people to cycle, or to run or just to start a hobby. Finding what works for them, so they too could see the benefit in having a wellness tool. I could sense I was making a positive difference to others and I now want to see if I can spread this positivity further. Talking about it is the first step to recovery – admitting that you have an issue you have to overcome. For me talking and having my cycling well-being tool have improved all areas of my life. I am emotionally and physically stronger to cope with the situations that in the past made me crumble. Life is like cycling – its not always easy or fun, you face obstacles and challenges but if you endeavour to push through these, you are often rewarded by reaching your destination or achieving your goal. Once you’ve proved you can overcome one challenge, the next obstacle doesn’t seem as daunting. You can support Ryan via his Justgiving page or follow him on Facebook, Twitter and Instagram (search for #recycleyourself).